College- and high school-age students are invited to learn about creating and maintaining healthy relationships at a free event hosted by Hesston College and Bethel College. 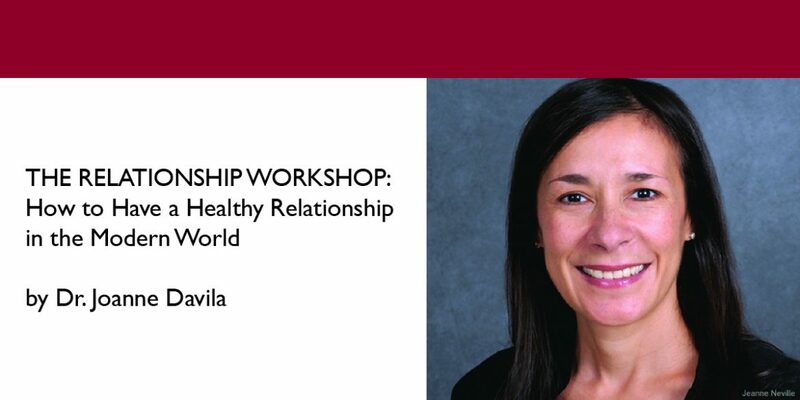 “The Relationship Workshop: How to Have a Healthy Relationship in the Modern World” will be presented by Dr. Joanne Davila, Saturday, May 5, from 9 a.m. to 2:30 p.m. on the Hesston College campus. A lunch break will be held mid-day with dining options in the Hesston College cafeteria or at area restaurants. The cost for brunch for non-Hesston College students can be paid at the door. The workshop will provide an evidence-based framework for healthy relationships centered on insight, mutuality and emotion regulation. The workshop will teach participants skill on healthy decision-making related to romantic relationships and entering or exiting relationships, successful navigation of issues and potential conflicts that arise in relationships, and strategies for coping with the emotions relationships bring. Dr. Davila is professor of psychology and director of clinical training in the Department of Psychology at Stony Brook (N.Y.) University. A group of Hesston College nursing students presented the idea and are planning the day’s events as part of their Population-Based Nursing course, led by nursing professor Duane Miller. In researching possible topics for a class project, they came upon a TEDx event talk of Davila presenting on healthy relationships, and were drawn to its relevance for young adults. Hesston College Dean of Students, Juli Winter, and campus counselor, Julie Lehman, both confirmed that relationship issues are something they see and hear of students struggling with regularly. Davila will also present in Hesston College forum at 11 a.m., Friday, May 4, at Hesston Mennonite Church. Registration for the free Saturday workshop can be completed here. Contact duane.miller@hesston.edu with questions. Watch Davila’s Tedx event talk.